In his highly informative essay about gorse, Valuable ally or invading army? The ambivalence of gorse in New Zealand, 1835-1900 Michael Bagge demonstrates that gorse is a prickly subject in more ways that one: attitudes towards the plant defy any convenient linear description. Instead, perceptions of the plant as both “useful” and as a noxious pest coexisted until surprisingly late in the 20th century. Partly this was to do with the fact that it behaved differently in different parts of the country. 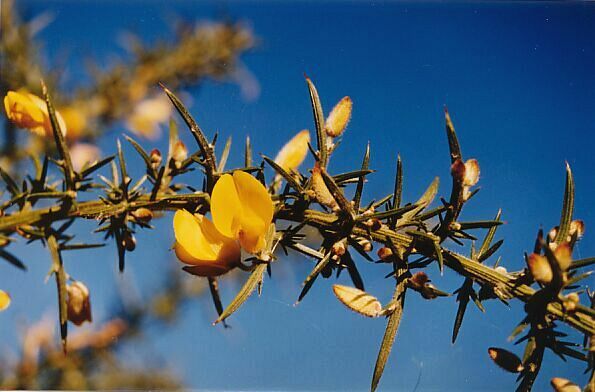 For example, in the late 19th century, gorse was still seen as a useful plant in the south of the country. 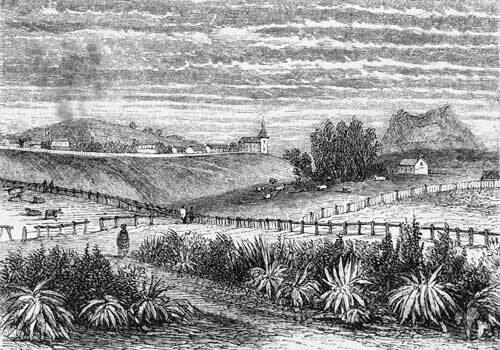 In Otago, gorse fences afforded shelter in a difficult climate, and in Canterbury, although gorse had become a major problem where it had got out of control, it provided one of the best hedges that could grow in the dry soil. But in the warmer, wetter northern regions its tendency to flower twice in a year made it harder to manage, lending weight to the growing criticisms of gorse as ‘a great nuisance’. Bagge argues that the Noxious Weeds Act, finally passed in 1900, was a definitive but by no means a final point in the transition of gorse from valued plant to noxious weed. Its exemption from noxious weed status and its continued use by farmers demonstrate that positive attitudes to it still existed. The essay includes some fascinating facts from our environmental history, such as that a government regulation introduced in the early 1850s required that Crown land leased to smallholders should be fenced using either gorse or hawthorn. And that one of the first uses of gorse in New Zealand was observed by none other than Charles Darwin, when he visited the Bay of Islands in 1835, and saw it used as a fencing plant by missionaries at Waimate. This essay demonstrates how the detailed study of one subject can provide a very useful window into how our attitudes towards, and relationship with, the environment has changed over time, with insights that reach far beyond the subject itself. See also: In search of Arcadia? ; Weeds – the great European invasion; When is a fence not a fence? ; Could blackberry jam have become NZ’s biggest export? Previous Article In search of Arcadia? Along with many others, it is one more import that I do wish never happened. Though I have heard that if left to grow, gorse can provide a cover for the regeneration of native bush. Still, I’d rather I’d never set eyes on it as I walked a narrow track through it to catch the school bus at Waikowai. Thanks for sharing this – I walked Wellington’s skyline track a couple of days ago through gorse and remembered reading about Justice H S Chapman, one of the earliest farmers in Karori, Wellington, who wrote lovingly about the ‘furze bushes’ that he was nurturing. Yes, I recall reading in Bee Dawson’s history of weeds https://envirohistorynz.com/2010/06/05/weeds-the-great-european-invasion/ that weeds, like gorse, that seem so indestructible now required a surprising level of nurturing initially, as your example illustrates so well.